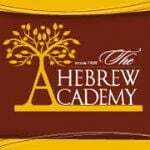 Learning Modern Hebrew is one of the main goals at The Hebrew Academy. We understand the benefits of learning and thinking in more than one language and bring these to our students through dual language instruction. We make learning Hebrew seamless within their Judaic and General Education studies. Learning a second language has many benefits, but becoming bilingual in a language has even more. Research has shown numerous positive effects being bilingual has on the brain and the how it improves ones cognitive ability. This includes better attention span and a better ability to multitask. Bilingual individuals stay on task more and have a larger understanding of sentence structure and linguistics. Speaking multiple languages has become a highly valued commodity in the workplace. Individuals who speak more than one language may find jobs more quickly, may have more opportunities within companies, and may garner a higher paycheck. There are also countless health benefits to being bilingual, like being more flexible and open minded, allowing stress not to affect you as negatively. Research has also shown that individuals who speak multiple languages recover from strokes more quickly and delay the onset of dementia. Finally, a huge benefit to being bilingual yourself means you will raise bilingual kids, giving them the best that this world can offer through travel, social experiences, and more. This makes our goal here at The Hebrew Academy all the more important to instill the love of language and knowledge of Hebrew in our academic setting.